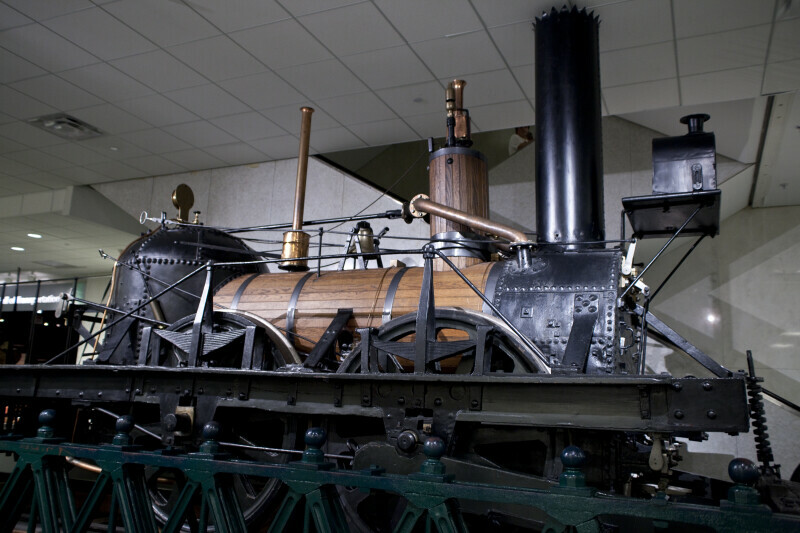 John Bull, one of the earliest steam locomotives in the United States, was imported from England in 1831 for use on the first rail link between New York and Philadelphia. The engine tended to derail on uneven American tracks, but a set of guide wheels attached to the front solved the problem. John Bull and its cars were soon carrying passengers and freight between the nation's two largest cities, reducing the trip from twp days to five hours by rail. The Camden & Amboy Rail Road's 1834 annual report reveled in John Bull's quick success and marveled that the steam locomotive was "a power which has almost annihilated time and space".